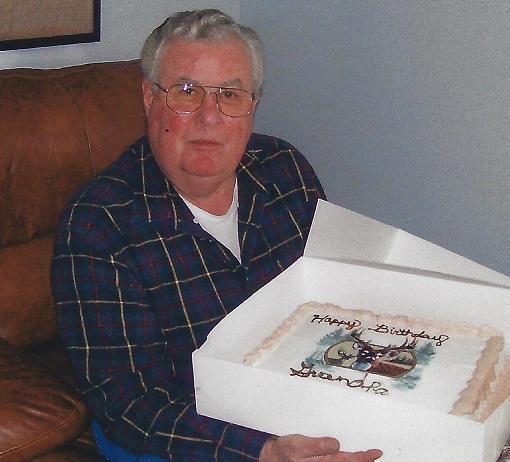 Carl H. McCready, 80, formerly of Ogdensburg, died on February 18, 2019, at RiverLedge Nursing Home. Calling hours will be Friday, February 22, 1 – 3 PM, funeral to follow, Reverend Paul Dettmer officiating. Burial will be in the spring at Fairview Cemetery, Canton. 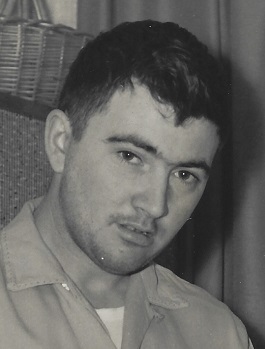 Carl is survived by his sons, Carl Clifford and his wife Pam McCready of Ogdensburg, James Dean McCready and his fiancé Becky Martin of Rensselaer Falls, a daughter, Debbie and her husband Steve Fenton of Heuvelton, grandchildren, Chris McCready, Jamie Bush and Kristy McDougall and four great grandchildren. He was predeceased by his grandson, Matthew McCready. Carl was born on April 14, 1938, in Ogdensburg, the son of the late, Clifford and Mary Butler McCready. He attended Heuvelton Central School. He married Patricia Gordon, November 29, 1958 the marriage ended in divorce. Carl was a farmer in Rensselaer Falls and DeKalb Junction, he left the area and when he returned he drove a truck for Edson Martin Brewery, worked at Foremost Foods as a machine operator, worked for the Town Of DeKalb, and was a taxi driver for Bartman’s Taxi in Ogdensburg until the late 1990’s. He also owned and operated Carl’s Auto and trucked cattle on the side. He enjoyed, hunting, fishing, working on cars, playing cards and pool, music, dancing, eating popcorn and visiting with family and friends. In lieu of flowers, contributions can be made to the St. Lawrence County SPCA. Shirley L. Peterson, 90, formerly of DeKalb Junction, NY and New Haven, CT, died on February 12, 2019, at Highland Nursing Home. There will be no services, as Shirley was a generous donation to science. Shirley is survived by her daughter Sherrie Revet of Russell, grandchildren, Erin Revet, Justin Revet, Kimberly Revet, Megan Revet, 2 great grandchildren, several nieces and nephews. 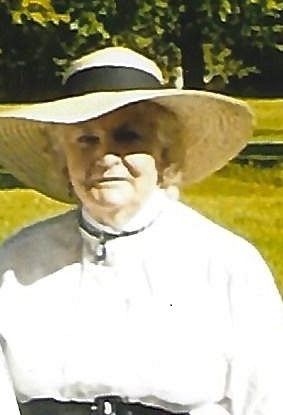 She was predeceased by her sons, Thomas J. Revet, Mark Revet, brothers, Nelson Wilmot, Albert Wilmot, Russell Wilmot, sisters, Corrina Richards and Dorothy Crosby. Shirley was born on January 21, 1929, in West Haven, CT, the daughter of the late, Nelson and Lucy Maurer Wilmot. She graduated from West Haven High School in 1946. She married Thomas Revet in 1948 that marriage ended in divorce, she then married Glenn Peterson on May 2, 1973, and he died on January 31, 2004. Shirley started her careers in Belding Cordecilli Research Center as a Lab Tech, then sold advertising at the New Haven Register, worked in classifieds at the Danbury News Times, owned the Revet Realty and Insurance in Thompson, CT, and the Peterson’s Country Realty in DeKalb Junction, NY. She was a member of MUFON and loved to collect and sell antiques. In lieu of flowers, contributions can be made to SUNY Upstate Medical Center research department. 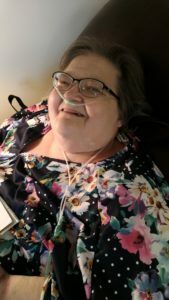 Rebecca Haywood, 61, of Canton, died on February 10, 2019, at Riverledge Nursing Home. Calling hours will be Saturday, February 16, 11 am- 3 PM, the funeral service will follow at 3 PM, Reverend Robert Schrimer officiating. There will be a burial in the spring at Woodland Cemetery, Fine. Rebecca is survived by her daughter and son in law, Sarah and James Eshelman of DeKalb Junction, brothers, Malcolm and his wife Carol Hubbard of DeKalb, David Hubbard and Deborah Cady of Hannawa Falls, a sister, Louise Gardner of Norfolk, grandchildren, James Eshelman, Isaiah Eshelman, Patricia Eshelman, several nieces and nephews. Rebecca was born on January 8, 1958, in Potsdam, the daughter of the late, John Hubbard and Patricia Butterfield Gardner, Rebecca was raised by her Dad, Clarence Gardner after the passing of her father. She married Richard Haywood, on July 21, 1984, he died March 14, 1997. Rebecca was a homemaker who loved being with her grandchildren, playing bingo and crocheting. In lieu of flowers, contributions can be made to the St. Lawrence Valley SPCA or Hospice and Palliative Care of St. Lawrence Valley. Albert “Neil” Wilson, 80, of DeKalb, died on February 1, 2019, at his home. Calling hours will be Wednesday, February 6, 3 – 5 PM, the funeral service will follow, Reverend Robert Schrimer officiating. There will be a private burial in the spring at Hermon Cemetery. After the service there will a gathering at the DeKalb Junction Fire Hall. Neil is survived by his sons, Thomas Wilson of Potsdam, Dale and his wife Sharon Wilson of DeKalb, Steven and his wife Elizabeth Wilson of New Hampshire, Jerry and his wife Ann Wilson of DeKalb, daughters, Cindy and her husband Joe Kelley of DeKalb, Susan and her husband David Corbine of Canton, brothers, John and his wife Nancy Wilson of DeKalb, Gary Wilson of Syracuse, Larry and his wife Linda Wilson of Hermon, Lyle Wilson of East Syracuse, a sister, Barbara Wilson of North Carolina, 10 grandchildren, 9 great grandchildren, several nieces and nephews. He was predeceased by his brother, Delbert Wilson, and a sister Elma Poole. Neil was born on March 13, 1938 the son of the late, Jacob and Bertha Pelkey Wilson, in DeKalb. He married Sally Beasaw on April 23, 1955 at their home, she died in 1995. Neil was a farmer all his life at his farm on the Maple Ridge Road, he was also very proud to be part of constructing the seaway, lastly he worked for the Town of DeKalb Highway Department. He loved his family, hunting, fishing and being in the outdoors. He was a 30 + year member if the Raripaco Club. In lieu of flowers, contributions can be made to Hospice and Palliative Care of St. Lawrence Valley or the Center for Cancer Care.